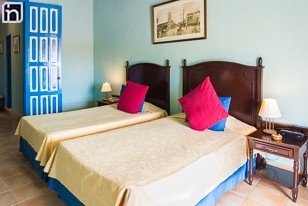 Encanto Mascotte is a small, bright & friendly hotel which will appeal to anyone seeking classic colonial surroundings in an excellent central location. 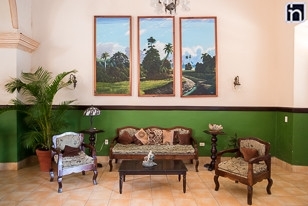 Visitors to Hotel Mascotte are greeted by a grand lobby with high ceilings & beautiful décor when they step in off the main square. 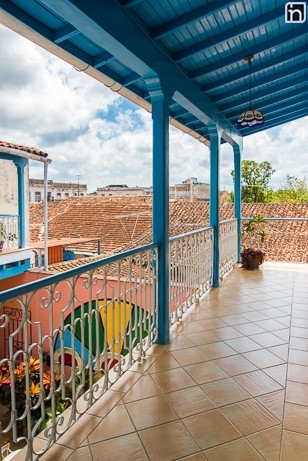 This is a small, elegant, well maintained hotel built in classic colonial style around a pretty central courtyard. 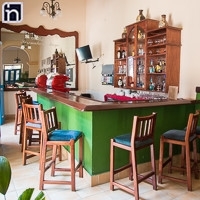 Mascotte has a lobby bar & restaurant, which looks out on the main plaza. 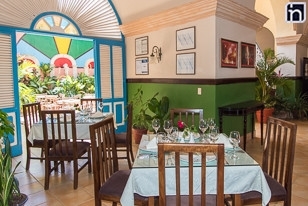 The bar & restaurant serve decent quality fare at a reasonable price, though there is great choice in Remedios for inexpensive food & drink. 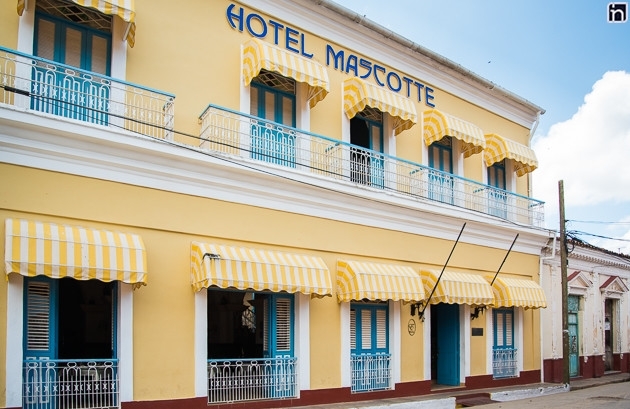 Mascotte hotel has been recently restored but retains a real colonial feel with tall shuttered windows, high lobby arches & wrought iron features. 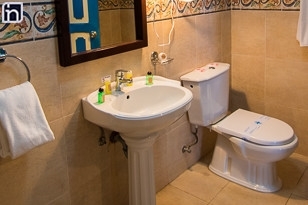 However, this renovation did not include the addition of a lift so less mobile visitors may need ground floor accommodation. 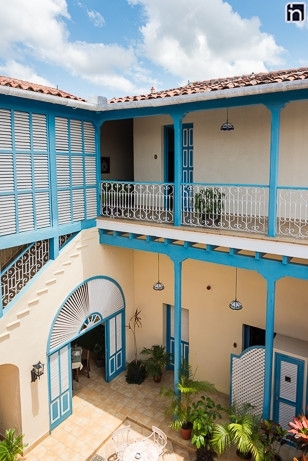 This is one of the best places to stay in Remedios &, if you want a slice of traditional Cuba in ageless, comfortable surroundings, you should try Mascotte.